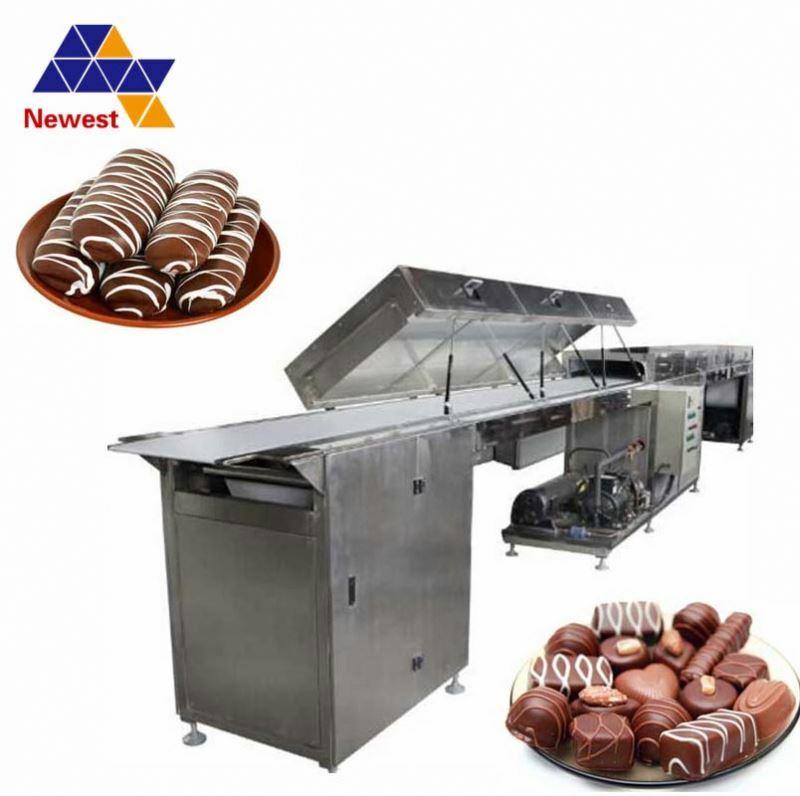 Chocolate cooling tunnel is to coat chocolate on various food such as biscuit,wafers,egg roll cake pie and snacks etc.Our Cooling tunnel is available and refrigeration effect is very good.moreover,this production line can be customized as customer’s personal requirement. 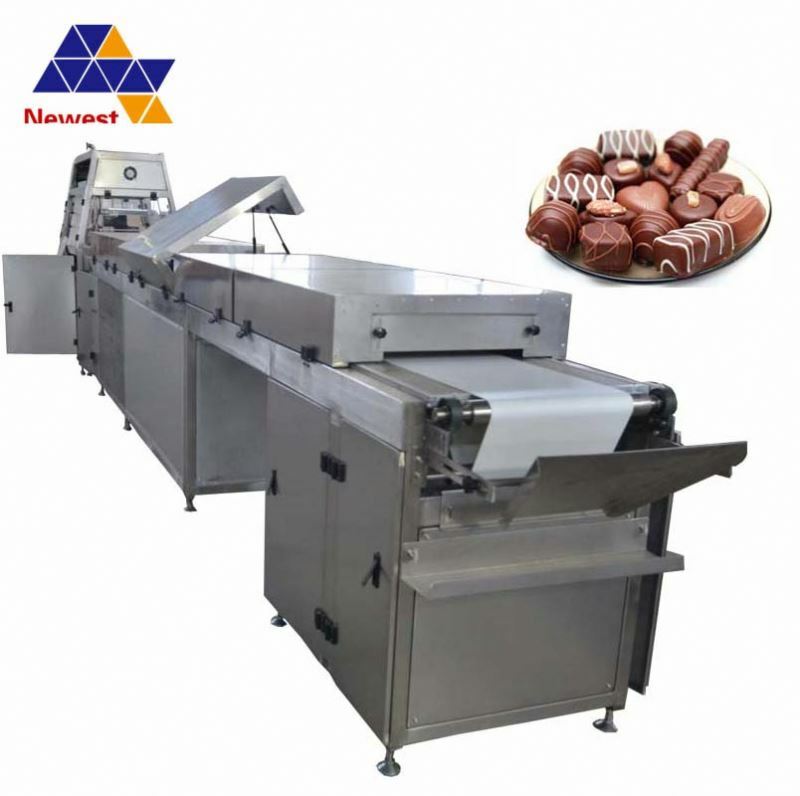 That machine is mainly used for chocolate cooling and chocolate moulding. 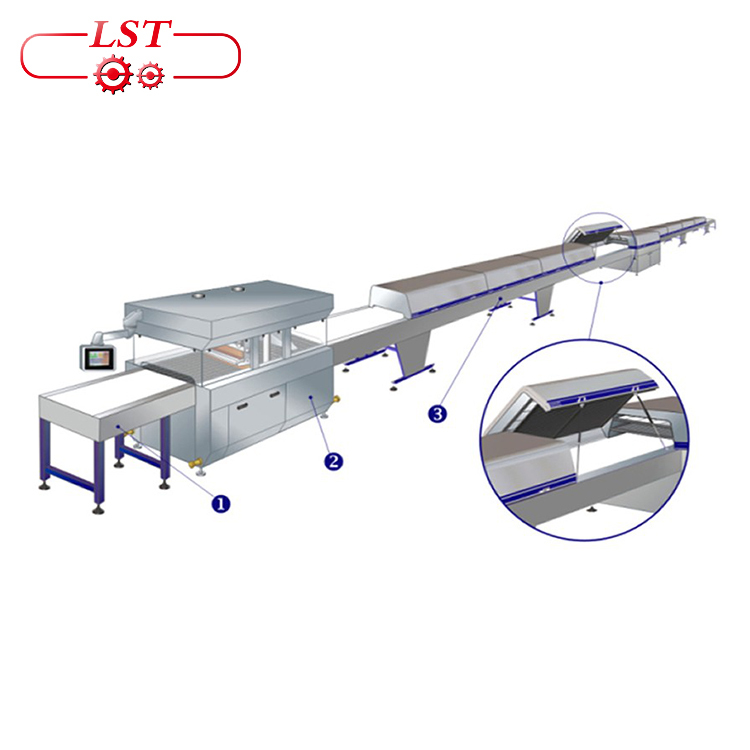 Our machine adopts the electromagnetic clutch rotation and chain conveyor structure and have the good performance, power saving and simple maintenance. The cooling tunnel is used for the cooling of the food after processing. 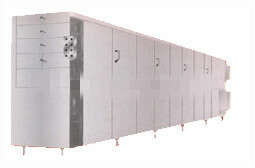 Air cooling tunnels are universally used for product cooling after molding. Such as filled candy, hard candy, taffy candy, chocolate and many other confectionery products. 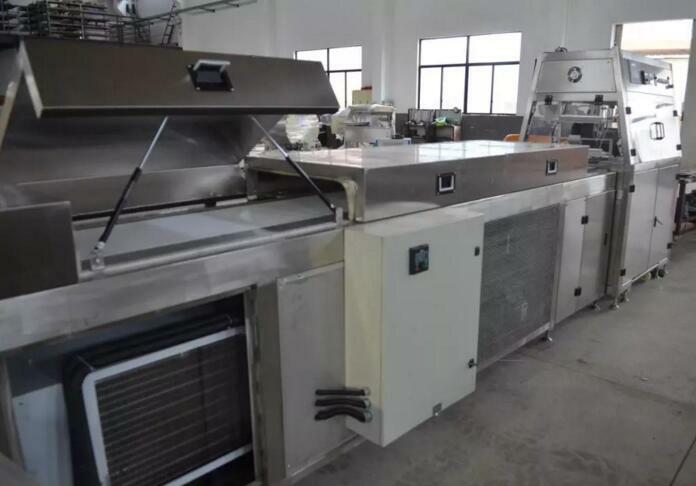 After conveying to cooling tunnel, products will be cooled by special cooling air. 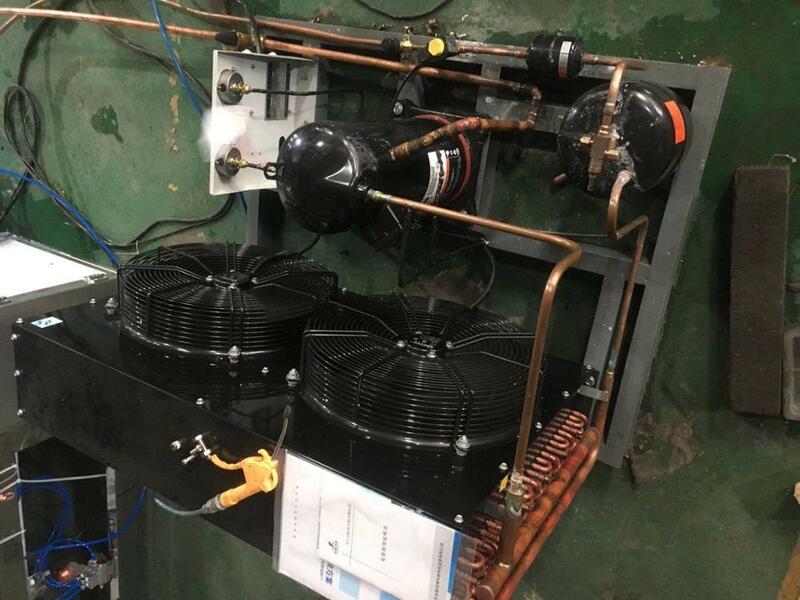 Cooling effect is stable and the whole process is clean. Import compressor from USA and frequency converter greatly improves the stability and durability of this device.